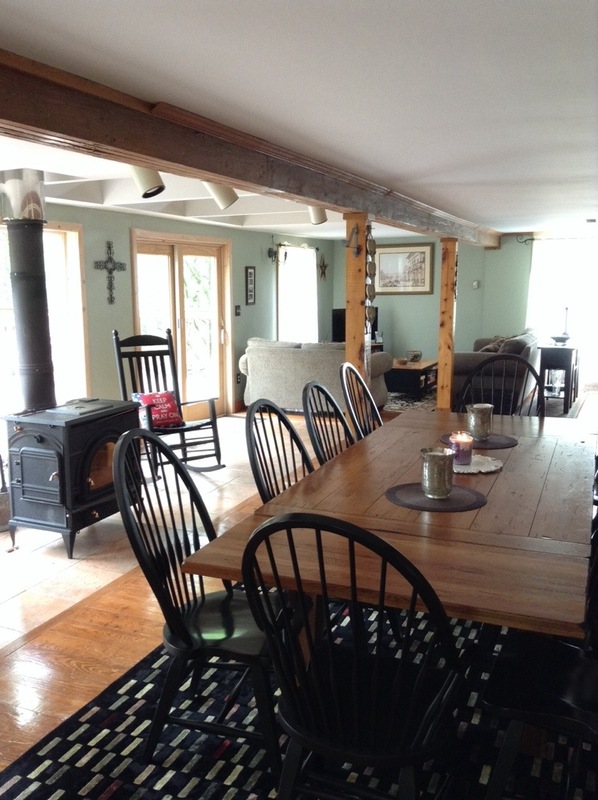 My favorite place at the Barn aka my secondary residence is the big table in front of the wood burning stove. Many have sat around the table to eat yummy food, have lively conversation, laugh while playing board games and share stories of sorrows or joys. I love just hanging out around the table. I don’t usually sit at the table when I am here alone. I sit in my favorite chair to read or write or on the couch to binge watch bad television. I sit in the office area to work on the newest jigsaw puzzle. I stay downstairs on the first level. At night, I venture upstairs to sleep. This morning I realized I don’t usually sit in the upstairs living area. So I made a conscious decision to sit upstairs. I made my coffee and bagel down in the kitchen and then came upstairs to eat them. Wow, it is lovely up here. I mean I knew that but I hadn’t taken advantage of it. 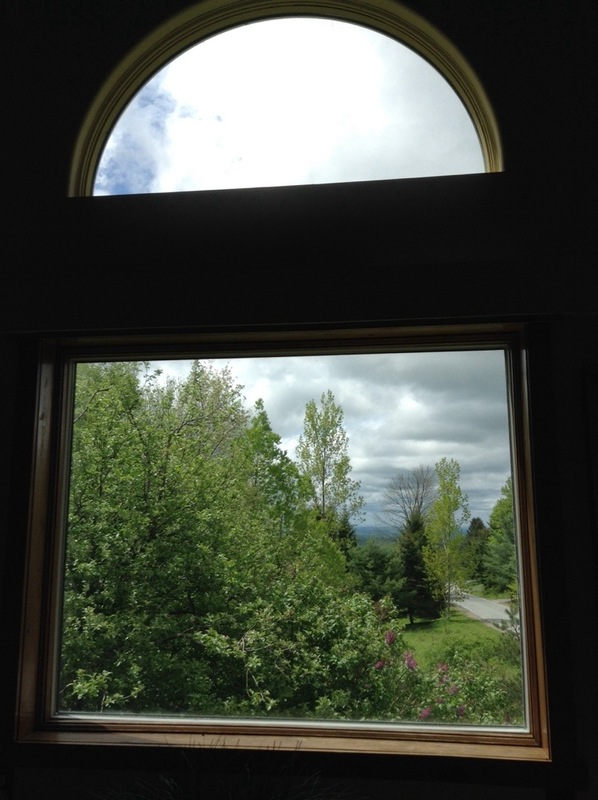 Through the three large windows the view is beautiful. The lilacs are just blooming and the apple blossoms are peeking out as well. The tall trees are gently blowing in the breeze. The sky is blue and the clouds are large and fluffy. Every now and then the bird glides by.